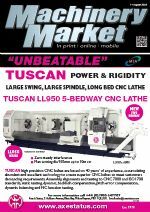 The German turning-machine manufacturer Index has launched a six-spindle CNC auto-matic lathe capable of sliding-headstock turn-milling. Available in the UK and Ireland through sole agent Kingsbury (www.kingsburyuk.com), the MS22-L is said to be the world’s first multi-spindle turning machine that allows the simultaneous use of two tool carriers for sliding-headstock machining at all six spindle positions, thereby ensuring high levels of productivity. to 200mm long from bar ranging in diameter from 5 to 22 mm. Typical parts are injector nozzles for internal-combustion engines, pistons and nozzles used in fluid technology, and a wide variety of shafts — parts that are traditionally machined far less productively on single-spindle sliding-head lathes. 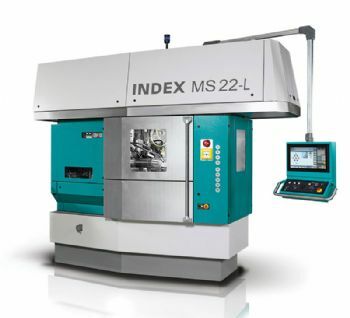 The front-opening MS22-L has six air-cooled motor spindles integrated into a drum, with a three-part Hirth coupling to ensure precise positioning; and to achieve optimal results across different applications, each ball-bearing guide bush with double-cone collet can be programmed to exert different pressures (when milling, for example, the bar stock is firmly clamped). Meanwhile, a swivelling 10,000rev/min synchro spindle with 120mm of Z-axis travel not only ensures damage-free removal of components but also allows reverse-end machining in conjunction with six tools, two of which are driven. The machine can have up to 62 CNC axes, including 12 compound slides with X and Z axis travels of 62 and 85mm respectively. 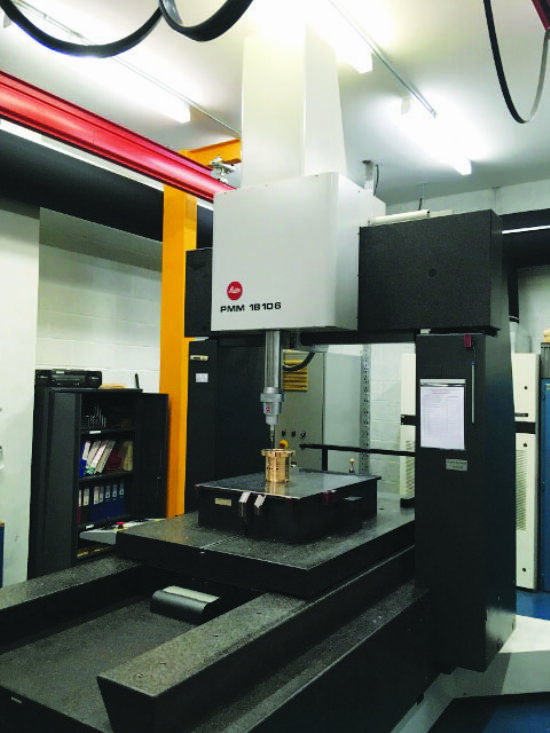 Each spindle has a full C axis, while Y-axis slides can be added to allow an extensive range of machining options such as off-centre, inclined or cross drilling, threading, contour milling, gear hobbing, elliptical deburring and polygonal turning; and with the ability to specify different feed rates and cutting speeds at each of the 7,500rev/min spindles, compromised machining conditions are avoided. The MS22-L can therefore undertake the economic production of components in materials such as high-temperature alloys that previously could not easily be machined on a multi. Control is via a Siemens 840D solutionline, which is easy to program on the shopfloor and automatically performs collision checking (including for the synchro spindle). 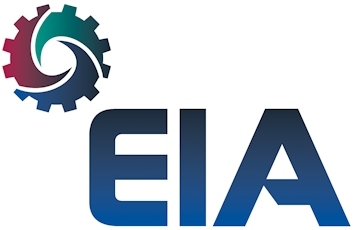 Comprehensive diagnostics for the machine and control are included, while tool monitoring and a tele-service connection for troubleshooting can be specified. A video of the machine in operation can be seen on the Web site (uk.index-traub.com/en/index/multi-spindle-automatics).